In case you didn't catch the news yesterday, Vonage plans to offer a videophone in 2005 via a partnership with Viseon. But there's much more to it than that. First, go check out Andy's blog entry about it. VoIP Watch: 'Vonage Goes VideoPhone Soon' as well as Aswath's thoughts on the videophone service provider model here. The really interesting thing is the comments made by Vonage's CEO, Jeffrey Citron. 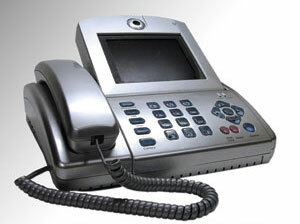 He was quoted as referring to the Packet8 videophone as "a phone with a camera slapped on it." Ouch! Them's fightin' words! Talk about the big bad Goliath (Vonage) pickin' on a little guy (Packet8). In the spirit of Braveheart (the greatest movie of all time IMHO), I can envision Bryan R. Martin, CEO of 8X8 (which owns Packet8) donning some blue war paint and telling his workers, "Are you ready for a war!". Interestingly, when you examine the photos for both the Vonage videophone and Packet8's videophone you'll notice they look identical, but that didn't stop Citron from calling Packet8's videophone just a phone with a camera slapped on it. Maybe Citron didn't like the fact that Vonage, one of the pioneers of broadband VoIP wasn't first when it came to offering a videophone? That honor belongs to Packet8. Compare with Vonage Videophone... Looks pretty much the same to me. If I didn't know any better I'd say Videon copied the blueprints! The button layout is the same and everything. Viseon's website even has a countdown applet (26 days currently) until the official release of the phone at CES. The phone will use the H.263 and H.264 protocols, according to Citron, but what I REALLY want to know is will a Vonage videophone user be able to dial a Packet8 videophone user or any other videophone for that matter. Unfortunately, the answer to that is almost certainly not. From what I understand even with video standards, there has yet to be a true 100% standards-based videophone that is hardware-based. There are some good 100% standard videophone soft-clients, but unfortunately I've yet to see a hard phone that doesn't do some proprietary tricks. I know the Packet8 phone does some proprietary optimization techniques for the video to ensure the best video quality. Too bad they can't use the proprietary techniques when dialing a fellow Packet8 videophone but use industry standards when dialing a non-Packet8 videophone. I should point out that Voicepulse has announced plans to follow suit in offering a videophone. The verdict is still out whether or not videophones will ever take off. The promise of a videophone in every home just hasn't taken foothold yet. The George Jetson cartoon which popularized the videophone in the supposed future is still a ways off. \n\nViseon's website even has a countdown applet (26 days currently) until the official release of the phone at CES. The phone will use the H.263 and H.264 protocols, according to Citron, but what I REALLY want to know is will a Vonage videophone user be able to dial a Packet8 videophone user or any other videophone for that matter.\n\nUnfortunately, the answer to that is almost certainly not. From what I understand even with video standards, there has yet to be a true 100% standards-based videophone that is hardware-based. 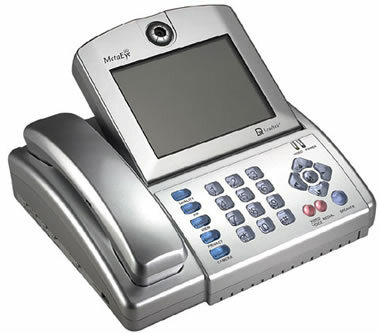 There are some good 100% standard videophone soft-clients, but unfortunately I've yet to see a hard phone that doesn't do some proprietary tricks. I know the Packet8 phone does some proprietary optimization techniques for the video to ensure the best video quality. Too bad they can't use the proprietary techniques when dialing a fellow Packet8 videophone but use industry standards when dialing a non-Packet8 videophone.\n\nI should point out that Voicepulse has announced plans to follow suit in offering a videophone. The verdict is still out whether or not videophones will ever take off. The promise of a videophone in every home just hasn't taken foothold yet. The George Jetson cartoon which popularized the videophone in the supposed future is still a ways off.